What did Gabriel Garcia Marquez say after visiting the USSR? 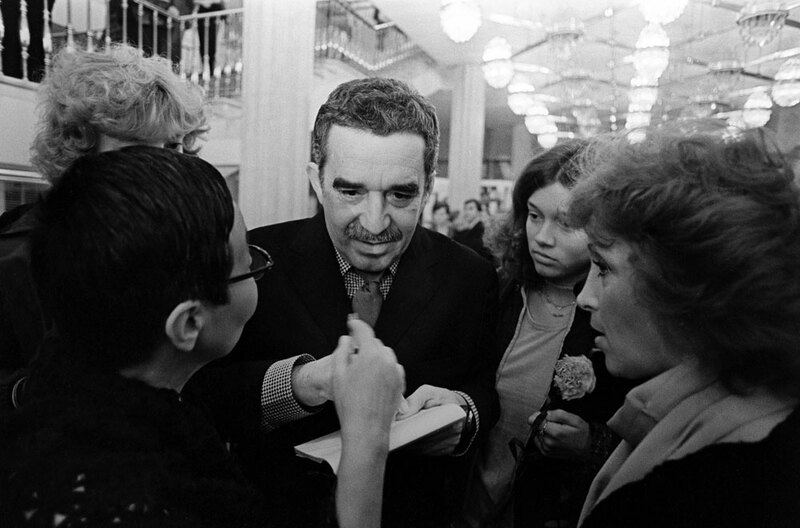 Colombian writer and journalist Gabriel Garcia Marquez signing autographs. Moscow. "22 million square kilometers and not a single Coca-Cola ad" – how the legendary Colombian writer remembered the USSR in the 50s. UK Prime Minister Winston Churchill's famous Fulton speech forever linked Russia's image with "the Iron Curtain," a political and information barrier that separated the USSR and other socialist countries from the West. March 5 marks the 70th anniversary of Churchill’s proclamation. Nevertheless, in 1957, only 11 years after Churchill pronounced those fateful words, thousands of Western people came to Moscow for the VI Universal Youth and Student Festival. Among them was Colombian writer and journalist and future Nobel laureate Gabriel Garcia Marquez, who wrote about his impressions in an article titled "The USSR: 22,400,000 square kilometers and not a single Coca-Cola ad." 7. “The old American joke about Soviet people believing that they invented many simple things, from the fork to the telephone, is actually understandable. While Western civilization in the 20th century headed towards impressive technological progress, the Soviet people living behind the Iron Curtain tried to solve many basic issues. 9. “While women are busy doing roadwork, in 40 years the Soviet Union's heavy industry has transformed the country into one of two superpowers. However, the production of consumer goods has lagged behind.